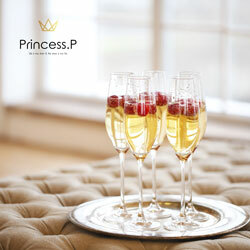 Princess.P fine Prosecco, imported straight from Italian vineyards & Gifting solutions for the Prosecco lover. Exclusive offer: Buy 3 bottles of Princess.P Prosecco Premium Black label (Organic, Vegan, Gluten Free) imported directly from sustainable Italian vineyards and we will add a 4th one FREE to your order. Use promo code RICHMOND4FREE Support your local brand, drink fine organic wine.